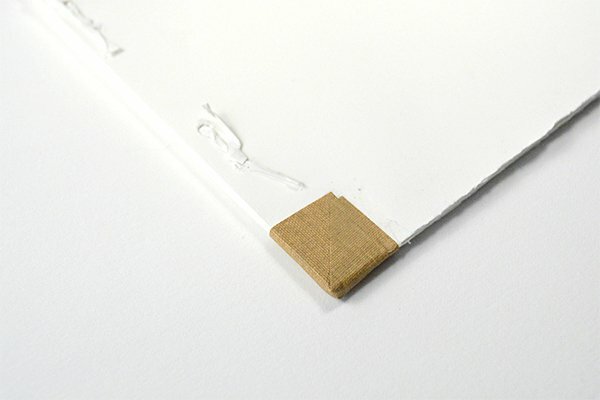 Several months ago I purchased the classic bookbinding text, Japanese Bookbinding – Instructions from a Master Craftsman by Kijiro Ikegami. It’s been on my list for a while and I’m really glad I went ahead and bought it. It gives a great overview of the history of Japanese book making, the special tools used and then clear instructions for over a dozen different books and boxes. I love that Japanese bindings combine elegance and simplicity with a high level of craftsmanship. 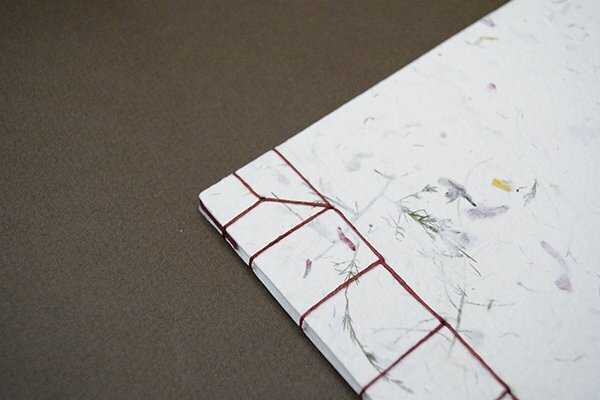 I chose to make a sketchbook with Kangxi or Noble binding and a soft handmade paper cover. 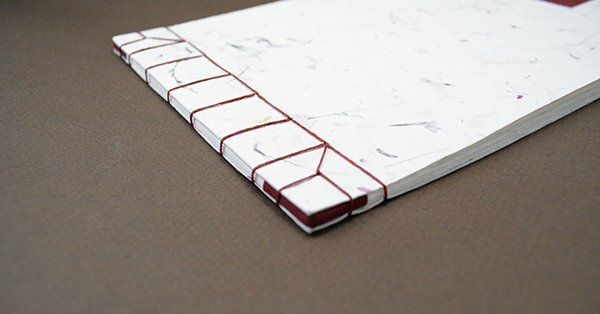 In this traditional style there is an inner-binding made with twists of strong Japanese paper, like Kozo and the corners are protected with pieces of cloth. In the picture below, you can see the corner piece once the covers are sewn on. 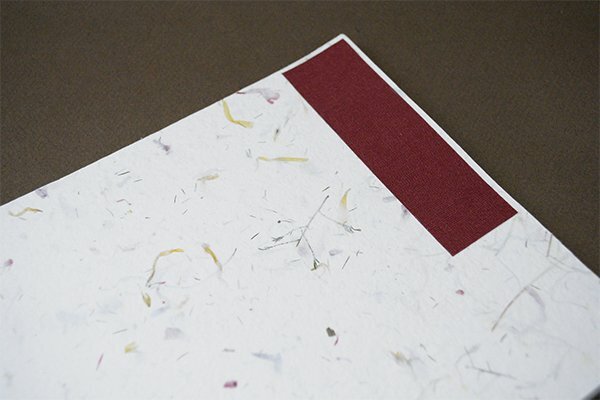 I placed a decorative strip of book cloth in the top right corner to mimic a traditional title strip. 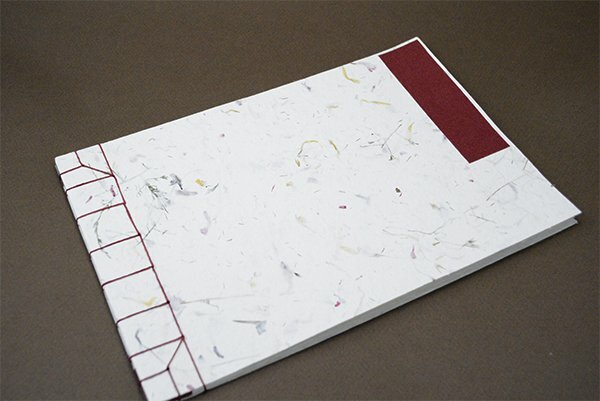 Below are the inner pages, which are Mohawk Superfine, a paper great for writing or sketching. 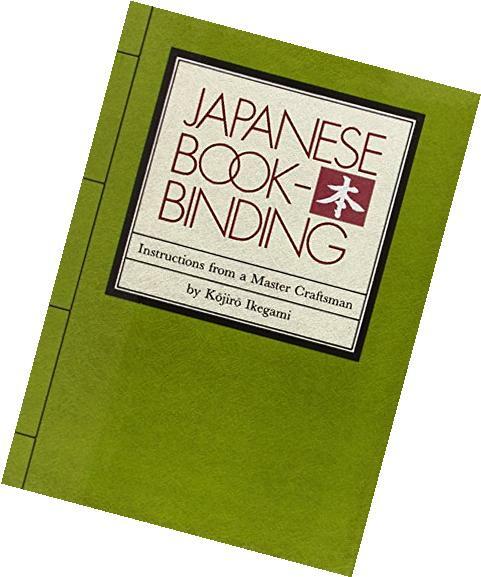 If you’re interested in this type of simple yet elegant binding, I think Ikegami’s book is a great investment. 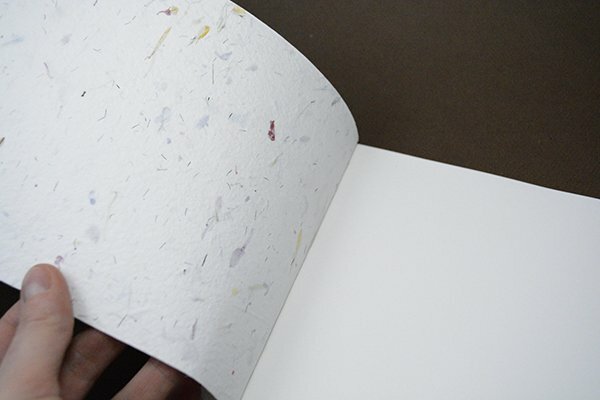 Don’t forget to sign up for my newsletter for more new bindings! 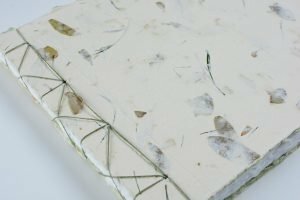 Beautiful, I love the handmade paper you used and the way you coordinated the book cloth and binding to flecks of colour in the cover. A very elegant result.